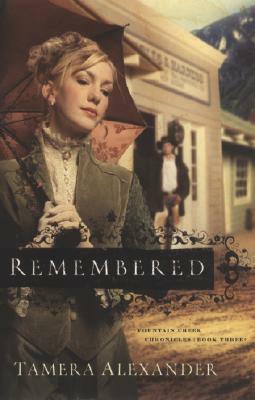 Bethany House Publishers, 9780764201103, 384pp. The threat of war--and a final request--send V ronique Girard from France to a distant and uninviting country. In the Colorado Territory, she searches for the man who has held her heart since childhood--her father. Pierre Girard left Paris for the Americas to seek his fortune in fur trading, vowing to send for his wife and daughter. But twenty-five years have passed and his vow remains unfulfilled. Sifting through shards of broken promises, V ronique embarks on a dangerous search for a man she scarcely remembers. His grief finally healed, Jack Brennan is moving on with life. After years of guiding families west, he is now working as a freighter to the mining towns surrounding Willow Springs. What he doesn't count on is an unexpected traveling companion on his trips up into the mountains, and how one woman's search will cause havoc with his plans . . . and his life.